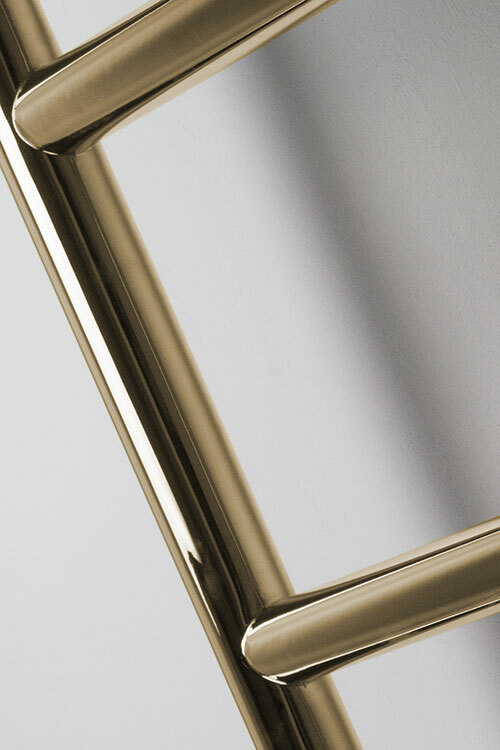 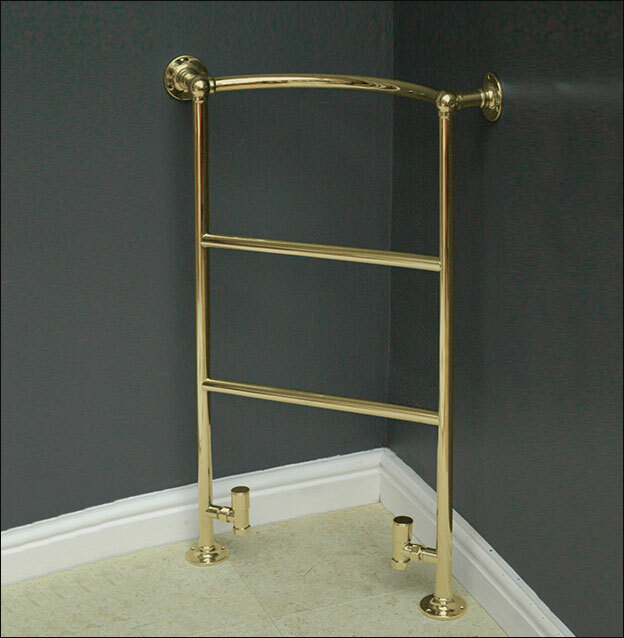 This luxury British made corner towel rail is manufactured with a thick gold finish on solid brass tubing, allowing for a long life without internal corrosion. 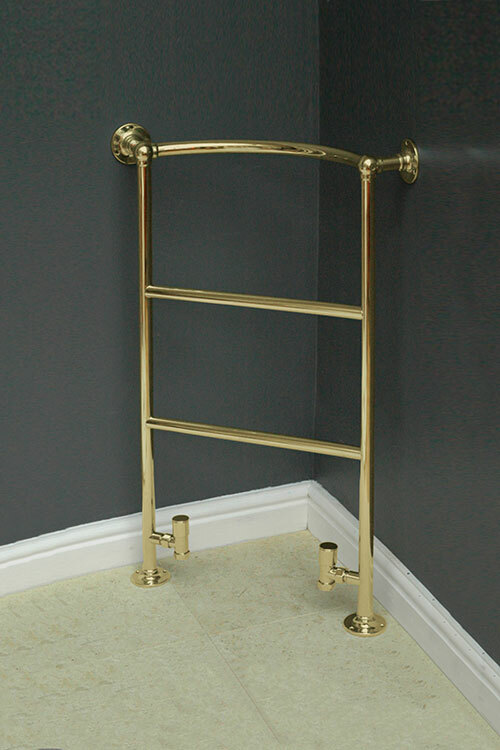 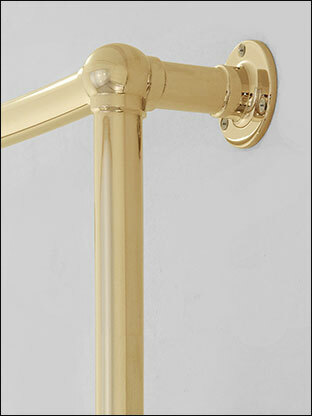 This corner gold towel warmer has practical well spaced hangers and being corner mounted is space saving. 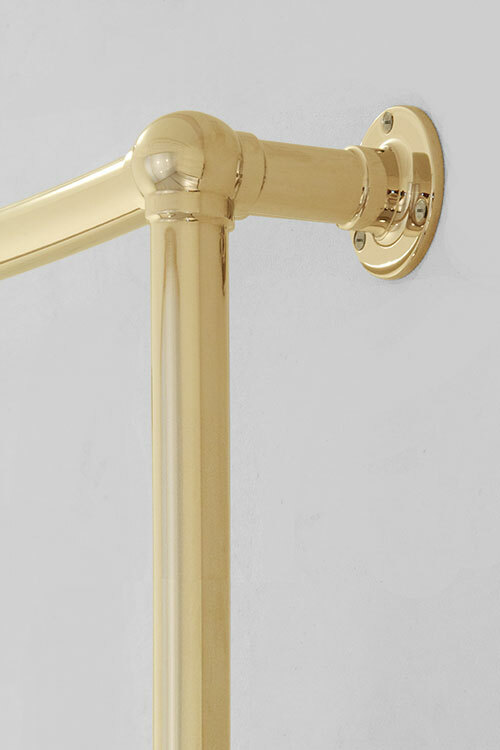 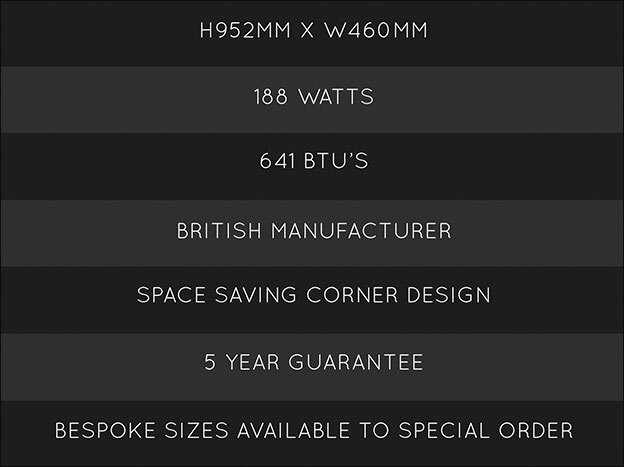 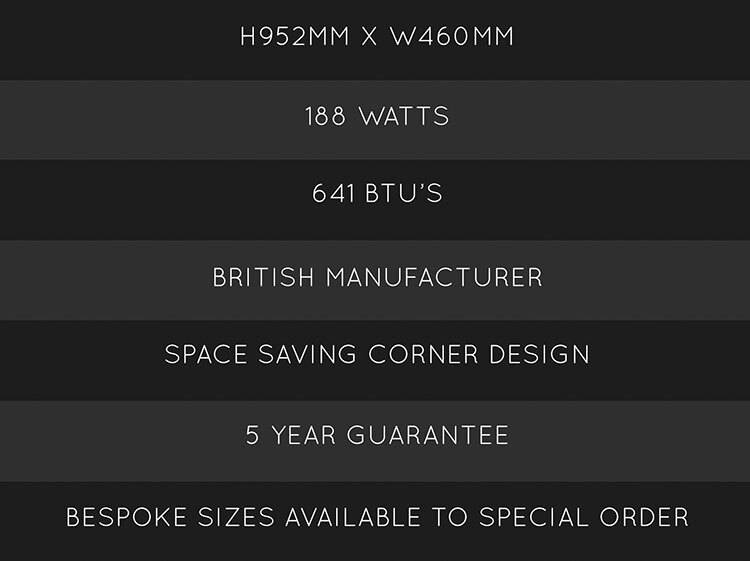 Electric only towel rails have a hidden electric element for tidiness. 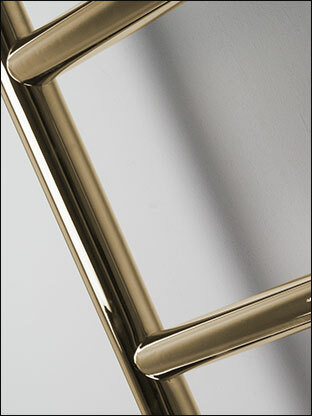 Gold finish supplied to special order.